The future looks bright. At least it does for the vast majority of people in the United States and Europe, who live in areas polluted by artificial light. Sources of light pollution are everywhere: streetlights, parking lots, gas stations, shopping centers, office buildings, apartment complexes, and stadiums, not to mention the light emanating from our homes. Though the problem is getting worse, not many people notice because the dramatic increase in artificial light has occurred gradually over the course of the past half-century. Yet if current trends continue, it may not be long before a variation of astro-tourism emerges, in which people go in search of unadulterated darkness—for nights filled with darkgazing. Meanwhile, we are just beginning to catalog the potential dangers of our dependence on artificial light, which include a long list of health effects like sleep disorders and cancer. There is also evidence that the effects are not limited to humans, as light pollution may disrupt the circadian rhythms of all species. In the recent book “The End of Night” (Little Brown), author Paul Bogard attempts to raise “night consciousness” by examining what we’ve lost, what we have left, and what can be done to regain the night, all of which he addresses in the following Failure interview. Have we already lost the night? That’s a complex question. The great thing about the night is that it’s still out there and darkness is a resource that we can bring back. But for the moment a lot of people have lost the true natural night. One of the estimates I use in the book is that eight out of ten children born today will never live where they can see the Milky Way. And in terms of an awareness of and appreciation of nighttime—for the beauty of it and the sounds and the importance of darkness—I feel like we have lost that too. We live among the lights all day long and into the night. The night has become an extension of the day. What can we do to regain the night? 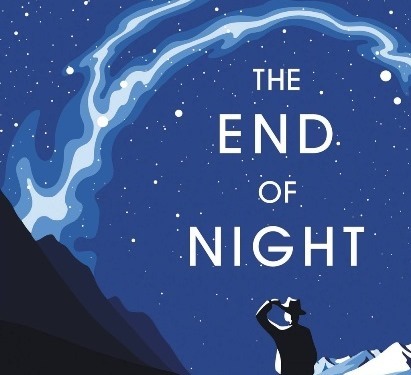 A big part of it is becoming aware, and that’s what I think “The End of Night” is doing—to help people become aware of the beauty and importance of darkness and get people thinking about it. There are also practical things we can do, like lighting our nights differently. So much of the light that we use is wasted—shining up into the sky or into our eyes or bedrooms. We can shield our lights; that would make a big difference. How do we measure darkness? There are a few different ways. One way I talk about in the book is the Bortle Scale—a 9 point scale [created by amateur astronomer John Bortle in 2001], with 9 corresponding to the brightest places and 1 being the darkest places. People think it gets “dark” at night, but Bortle’s scale shows us that most people live at levels 5 and above. We don’t really experience true darkness and people have no idea what real darkness looks like. Where are some of the darkest places in the U.S.? If we are talking about a clear night you need to get out into the western parts of the U.S. I like the desert southwest, both because it’s still relatively dark in a lot of places and because the desert air makes for wonderful viewing. There are some dark places east of the Mississippi—places like the Outer Banks and Acadia National Park [Maine]—but they aren’t as dark as they used to be. The places I highlight in the book are the National Parks, because I think it’s really important that people visit the parks and learn about darkness there. The Park Service is now defending darkness as one of the resources it is supposed to protect. Was there a tipping point—a certain year, perhaps—when most of the world was no longer truly dark at night? It kind of depends what we mean by darkness. We had oil lamps and then we had gas lamps in the nineteenth century, but the real tipping point was when we started to have electric lights. The significant thing about that is that up until the twentieth century most of the world was dark. In this country it was the mid-1930s before Roosevelt’s Rural Electrification Bill, and there were a lot of places that didn’t have electricity until the fifties and sixties. It wasn’t that long ago that the U.S. was still a very dark country. So when we start talking about the impact on human health and ecology and the fact that we don’t have that much research about it, it reflects that there’s been a sudden explosion of light. What are some of the health effects? What they are finding is that light at night is disrupting our sleep and contributing to sleep disorders, which are tied to every major disease we are dealing with these days. Certainly, light at night confuses our circadian rhythms and has an impact on all our internal workings. It has been shown that light at night impedes the production of melatonin, and lack of melatonin has been linked to increased risk of breast cancer and prostate cancer. What researchers are trying to determine now is how much artificial light makes a difference in how it impacts us. Our bodies, and for that matter our souls, have never evolved to confront artificial light at night. To me it makes a lot of sense that it’s not good for us. And we are just figuring out how it’s not good for us. For example, there are new studies coming out showing that the blue light from our gadgets is affecting our retina and our eyes. We’re flooding the world with this blue light and we don’t know what the true effects are. It’s something to be cautious about. Where is light pollution worst in the world? I would argue that pretty much every city in the world has bad light pollution. There are only a few that seem to be doing their best to control it. I haven’t been everywhere, unfortunately, so I can’t tell you for sure, but I have heard that Chinese cities are ridiculously bright. Japanese cities are very bright. The thing about it is that the technology and philosophy that originated in Europe and the States has been exported all over the world. Everywhere you go is the same now—the same lights and the same philosophy and therefore the same problems. But Flagstaff, Arizona has made a special effort to combat the problem. Flagstaff has done a really good job, and if you climb the mountain outside town and look down on Flagstaff it looks different than you are used to seeing. Tucson is the same way. For several decades they have tried to protect the skies for the observatories there. But major European cities like Paris are now paying attention to their lighting. This past summer, new countrywide lighting laws—which seek to cut emissions and energy to preserve the nocturnal environment—went into effect in France. These are totally practical, responsible laws that could make a real difference. For instance, they require stores to turn off their lights after 1 a.m.
Amsterdam, Copenhagen, and Berlin are also paying attention to their lighting. Up to this point, it’s been mostly to save energy, but more and more people are beginning to understand that saving energy and saving the night sky go together. What can public officials do? Public officials are mostly oblivious that the lighting they have—and the new lighting they are buying—might have problems. When it comes down to it, they need to adopt lighting ordinances—especially for any new lighting that goes in—that are dark-sky friendly. That is, shielded, so we’re not spraying light all over. One of the big things now is that a lot of places are switching to LEDs. This presents both promise and peril, promise in that LEDs are much more efficient and can save money. But the LEDs that are being installed right now tend to be a full spectrum, and they are heavy with the blue light that’s the most concerning for human and ecological health. If I could get every city official to start making good choices about new lighting we would be well on our way to solving this problem. What can individuals do to save the night sky? They can start with their own homes. A lot of people leave lights on all night long. You don’t need to do that. Homeowners can also shield their porch lights and outside lights. And they can become involved. A lot of communities have lighting ordinances, but they are not enforced. You can make sure that local officials enforce them, or you can try to get a lighting ordinance in your community. And they can check out the International Dark Sky Association’s Web site and become involved with those guys and help get the word out. What would dark sky advocates like to see happen? Basically, the situation now is that every place is getting brighter. Dark sky advocates would like to stop that trend—and even reverse it. There is a new study out of Flagstaff that if you shielded the lights of major cities you would have some impact on light pollution from those cities, but the big thing that would happen is that when you shield a light you don’t need as bright a light. So if you shielded the lights and reduced the brightness of the lights you could have an enormous impact on light pollution. It would be nice if there were places that were actually getting darker again. That’s not happening. Dark sky advocates would love to have people become aware of this issue because once you become aware of light pollution you see it everywhere, and pretty quickly you realize that the way we are lighting the night doesn’t make much sense. Do young people share their experience of night with you—or is it mostly older people? It’s mostly people in their fifties—if not sixties and seventies and older—who approach me and share their stories. It’s remarkable how I almost never hear from younger people. I think it’s because they have barely experienced what a real night is. They don’t know what they are missing. Is it true that you are afraid of the dark? [Laughs]. Yeah, I admit that. One of things is that being afraid of the dark is a totally natural human condition. It’s something we’ve long had as a species. I think a lot of people claim to not be afraid of the dark but they never go out into the dark because they are afraid of it. The biggest thing for me is that whatever fear of the dark I have has been complemented by increased respect for the dark. I have become so aware of how important darkness is that I want it to be around even if I feel that instinctual fight or flight feeling when I am out in the woods somewhere and it’s super-dark. Mr. Clean—Educator Tom Keating aims to tidy up school restrooms.